Fair Chase Hunting: Does HSUS need hunting to continue? "Perhaps Jim Posewitz of Orion—The Hunter's Institute summed it up best when he wrote in Pheasants Forever magazine, 'The animal rights and anti-hunting campaigns occupy more of our time and attention than they deserve. While they raise a lot of money and live well, they have not done much serious damage. They are a parasite and we are their host. They are an irritation, but are not likely to kill us—they and their business model require us.'" Have anti-hunting organizations done any lasting damage or are they, as Jim Posewitz suggests, merely an irritation? As a resident of California, I can say HSUS does real damage - it is definitely chipping away at our hunting rights here. The more insidious thing it does, though, is drive public opinion about hunters and hunting. It never fails to attach the word "trophy" to any kind of hunting it's campaigning about, and because we have big urban populations with little or no connection to hunting, people believe what HSUS says. We ignore HSUS at our peril. That said, PETA deserves zero attention. PETA is about PETA. It's best at getting attention, and the most it does is convert a bunch of teen-age girls to vegetarianism, then alienate them by using young naked women for its students. I do agree with the notion, though, that it's unlikely any of the animal rights organizations would ever succeed in banning hunting outright, and we probably raise the prospect of a ban far too often, which saps our credibility. Correction: PETA uses young naked women for its STUNTS. One more cup of coffee and I may be able to type! Holly, I agree with you completely that we ignore HSUS at our peril. "Easy for Posewitz to say. He's ducked every hunting v. Anti- hunting issue ever since he became a civilian. Let's see, we've lost bear hunting with hounds and/or bait bait in Oregon, Washington, California, Colorado, Massachusetts. Lion hunting is gone in Washington, Oregon, California. Most trapping is gone in New Jersey, Massachusetts, Florida, Colorado, Arizona, California and a number if others. 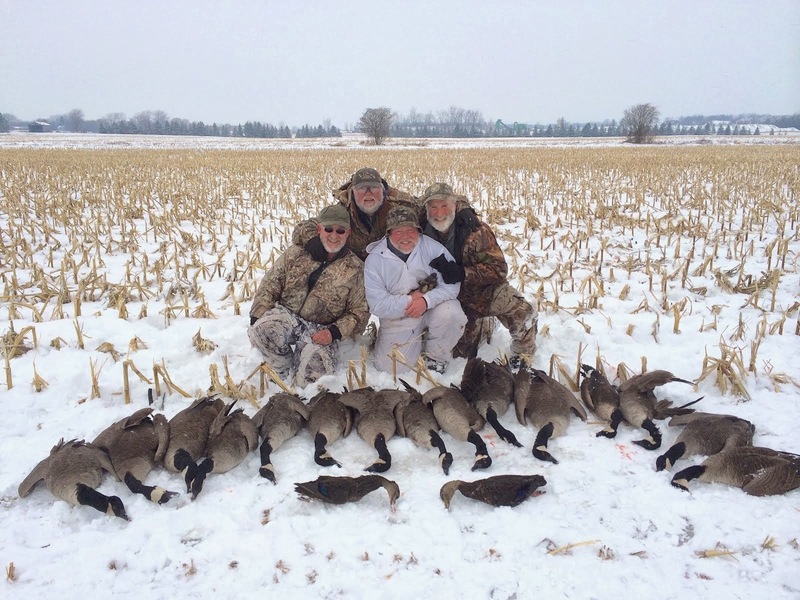 Hunters won dove hunting in Michigan then the anti- hunters took it away. California is about to lose hunting with digs for bobcats and other chaseable critters. There ate plenty more losses, but even more wins ONLY because hunters have gotten up on their hind legs and fought back from Maine to Alaska. Posewitz has always pooh-poohed sportsmen's rights struggles. They get in the way of his fundraising... "
This has had me thinking all day about whether Orion has done enough in the area of 'sportsmen's rights' as this commenter suggests. 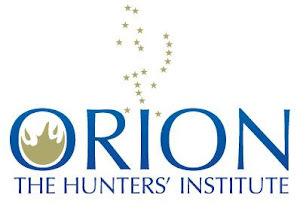 I suppose that depends on your reading of Orion's mission: "To protect the future of hunting, Orion provides leadership on ethical and philosophical issues to promote fair chase and responsible hunting." The mission is providing leadership on ethical issues, not protecting the future hunting, though that's the hoped-for outcome. Because of Orion's standards that go above the bar of what's legal, Orion's opinion on issues of debate could potentially carry a lot of weight. Of course, that means the absence of its opinion could be equally damaging. Do you want to go there? We're lucky in California (wait, did I just say that?). But seriously, we have an alliance of hunting groups that lobbies on our behalf on hunting issues (California Outdoor Heritage Alliance), and it doesn't come with the baggage of an organization like the NRA, which gets high negative ratings. Don't see much HSUS here. Most just think they are extreme and don't pay much attention. HSUS may in fact do more damage to their own cause. I will say that like HSUS, there are pro-hunting organizations that are just as extreme.. We/Orion/Everybody really shouldn't be siding with either. I think that's a good point about extreme hunting organizations; on the other hand, HSUS is the best-financed organization out there whose specific goals include the elimination of all forms of hunting. I was involved several years ago with the Maine ballot initiative to ban bear hunting with hounds and/or bait. The referendum was supported, organized, and partially funded by HSUS. To their credit, non-hunting Maine voters defeated the referendum. But other states have not been so fortunate, as the comment above indicates. Like in Maine, voters (hunting and non-hunting) define acceptable fairchase. For some locations, it could be that HSUS isn't in the wrong with respect to voter opinions. Who's to blame here? One could say that since HSUS is well funded that they can sway voter opinion, but it's still up to voters. I'm sure for some voters all it takes is a small nudge. It's hard to say how many voters do due diligence on HSUS ads and still end up siding with HSUS. And then you have apathetic voters who probably side against hunting more than with it. HSUS might be involved in alot of these issues, but I'm not so sure that the outcome is directly caused by HSUS. It could be that HSUS publicizes aspects of hunting that the voting public doesn't agree with, not that HSUS is forcing it's will on the people. I covered a gubernatorial race in Virginia one year, and a few days before the election, I went out all over the state and interviewed random people in shopping centers, gas stations, etc. Among the questions I asked was "What do you know about the candidates?" and to a person, what they knew was what campaign ads told them. NOBODY knew about what the newspapers were reporting. And for a great punchline, they all told me they ignored the ads. In case you doubt my methods, I can tell you that my random selection of people to interview was excellent, because their opinions of the candidates matched the polling at that time exactly. We all like to believe we think independently, but marketers control our opinions far more deeply than most people imagine, and HSUS does outstanding marketing (which I monitor closely). What most non-hunters know about hunting is what HSUS campaigns about the most (unless they know some hunters personally): "canned" hunts and Internet hunting. The problem of the lack of voters' "due diligence" has been studied by political scientists and is at the heart of every serious critique of ballot initiatives that has been made. David Broder does a good job of covering these issues in his book Democracy Derailed: Initiative Campaigns and the Power of Money. A more scholarly work is Haskell's Direct Democracy or Representative Government? : Dispelling the Populist Myth. But I suspect Holly is right here--HSUS spends the money, HSUS gets the results. I understand what you are saying, but I don't think HSUS has to do or spend much in some locations. Voter sentiment already leans their way. In other locations, like Maine, HSUS has a much stronger headwind and it seems the more they spend the more they come across as extreme.